These two Parisiennes, Virna and Omar, are leaving Copenhagen tomorrow. Which is regrettable. They have been guests at Casa Cycle Chic, renting out my guest room through Airbnb.com and riding around the city for five days on my guest bicycles. It's always regrettable to see guests leave. I've been hosting guests through Airbnb since last year and it's been fantastic. I grew up in a home where the doors were never locked and friends, family and neighbours waltzed in unannouced and made themselves at home. That's the kind of home I try to create for me and my kids and Airbnb has helped inject a splendid amount of cosmopolitanism into our humble home. Most of the guests who visit know me through Cycle Chic or Copenhagenize.com or the company, but there are also others who end up here for whatever other reason. When I tell my kids that guests are arriving, they ask where they're from and look forward to meeting them. The kids are bilingual, so it's great for them to practice their English, too. When Virna and Omar were leaving, The Lulu - aged 4 - announced that she missed them already. I take that as the ultimate accolade for any guest who visits. Virna and Omar enjoyed playing with Lulu and they got the biggest hugs from her when they left. And not only that, they were kind enough to buy a present for me from the bookshop at the Danish Design Center. 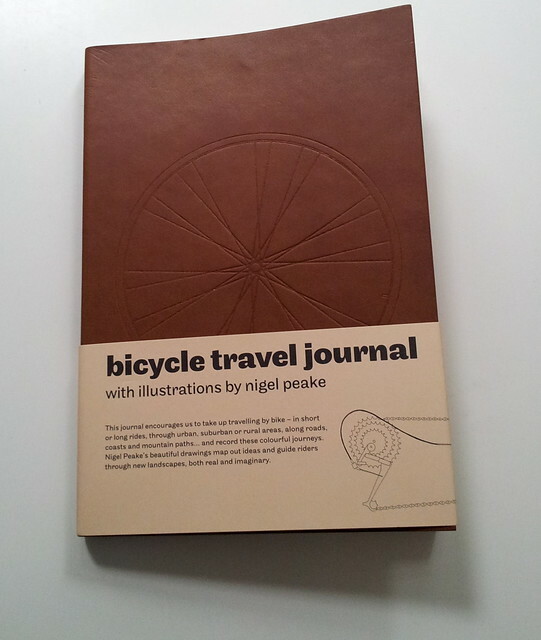 Perfect for my many work-related journeys with Cycle Chic and Copenhagenize. Merci! You're welcome back anytime. This is what the internet does. Bring people together. I experience it every time I travel, meeting people who read this blog and who thank us for it. It strikes deep in the heart each and every time. Now I have the chance to welcome guests here at home and that just doubles the joy. I think it's great what you are doing on airbnb! My friend Gabby and I are visiting CPH from the States this week and are loving getting "lost" in this city on our rented bicycles. Hopefully next time I'm back in town we can meet or your rented room will be available. Keep up the good work!